If you have been sponsored by an Australian business on a temporary basis and are seriously considering leaving your homeland and moving to Australia in search of a new beginning you’re probably wondering if you should use an Australian migration agent. 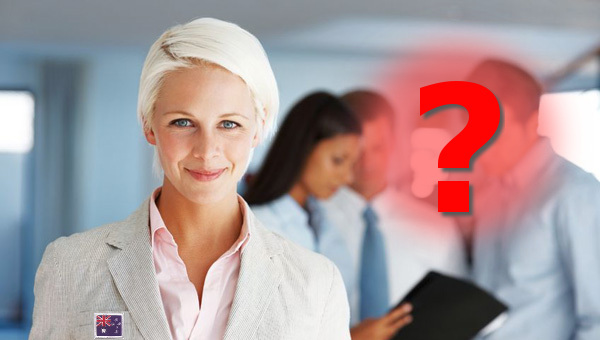 This is the most common question majority of 457 Visa Australia applicants are faced with. And there is a simple answer to this – if you haven’t applied for any type of immigration visa before and are not at all acquainted with all the Australian Department of Immigration and Citizenship requirements and regulations, then it would be best you seek and consult a licensed migration agent. Australian Department of Immigration and Citizenship accepts all applications submitted, regardless of whether you have lodged visa application yourself or had an Australian migration agent do it for you. However, if you do not feel comfortable applying for 457 visa Australia on your own or believe your case is a bit complicated, the best way to ensure proper submission of your visa application is to engage a licensed agent to assist you in this. You must be aware, however, that migration agent cannot in any way influence the outcome of your visa process. In other words, Australian migration agent cannot guarantee you a visa and ensure entry to Australia. You may think – why use a migration agent then. It’s simple – a migration agent is very much familiar with all immigration laws, requirements and criteria and has an experience to prepare, present and discuss your 457 visa Australia application with the department of immigration. This will increase your chances of getting your application approved. Moreover, a migration agent will advise you on all immigration requirements and guide you through this process. If you decide to appoint an Australian migration agent to act on your behalf, your agent will have to send Form 956 to notify the Australian Department of Immigration and Citizenship that he/she has been appointed as your migration agent. The department will from that point on discuss your application with your agent and, if necessary, ask for additional documents. Also, the department will send any written respond or requirement needed to process your application to your agent. You should know that more than 50% of self-lodged visa applications are denied, mostly due to insufficient information or lack of documents. With services of a migration agent, you can be confident that this will not happen. However, you should know that you are solely responsible for the accuracy of all information provided. Thus, make sure you provide your agent with accurate documents and increase your chances of having your 457 visa Australia approved. Another thing you should be aware of is the accuracy of the migration agent. There are many agencies that claim to have migration agents when in truth they do not. Thus, if you choose to use an Australian migration agent, use one that is registered with the Office of the Migration Agents Registration Authority (MARA). You can go on MARA’s website and choose an agent with valid registration. This way you can be sure your application will be lodged in accordance with current laws and procedures.